Climatologists, metereologists Investigate atmospheric phenomena and interpret meteorological data gathered by surface and air stations, satellites, radar etc. to prepare reports and forecasts for public and other uses and to improve general/scientific understanding of climate. Gather meteorological data by surface, upper level and other measurements (including satellite cloud images, remote sensing data, radar and other information about atmospheric conditions). Study and interpret relevant information (e.g. data, reports, maps, photographs, charts). Predict long-range and short-range weather conditions using weather forecasting tools (e.g. computer models) and relevant knowledge (e.g. climate theory, physics, mathematics). Produce weather reports and maps (e.g. for analysis, distribution, use in weather broadcasts). Prepare forecasts and briefings for different types of audiences, such as the general public, industries (e.g. aviation, marine, fishing, farming, forestry) or government. Broadcast weather conditions, forecasts and weather warnings to the public via television, radio and the Internet, and provide this information to the news media. Apply meteorological knowledge to problems related to environment, agriculture, pollution control and water management. Conduct basic or applied meteorological research into the processes and determinants of atmospheric phenomena, weather, climate, etc. Design and develop weather forecasting tools (e.g. mathematical and computer models). Maintain equipment and tools used to gather meteorological data. Revise estimated meteorological parameters; solve gaps between real-time conditions and estimated conditions. 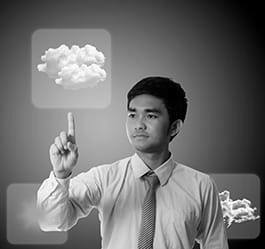 Make short-term and long-term weather forecasts applying physical and mathematical formulae; understand specialised computer modelling applications. Use meteorological data and tools such as weather facsimile machines, weather charts and computer terminals, to anticipate weather conditions.